There are pumpkins everywhere at this time of year. 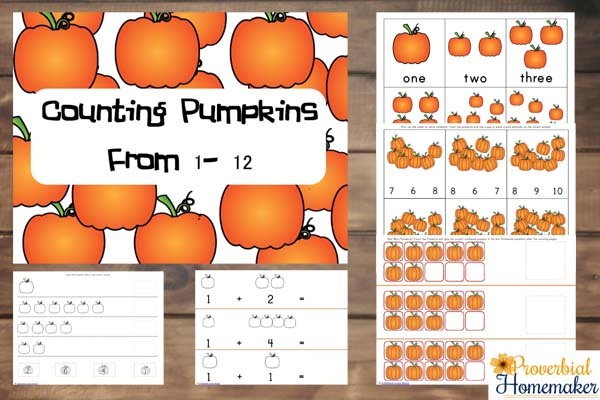 These fun pumpkin printables are a fun resource for helping the little ones that are learning to count. 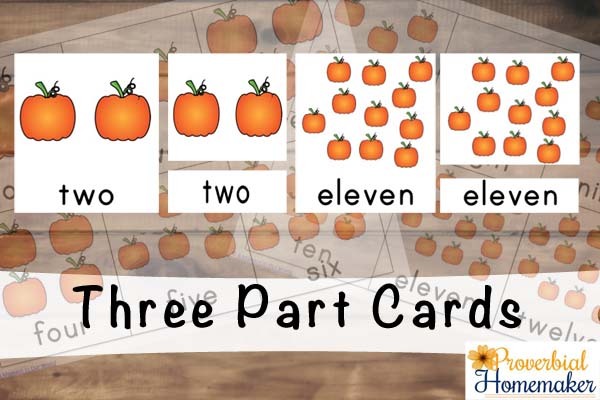 This pack includes pages for those just learning to count from 1 to 12. 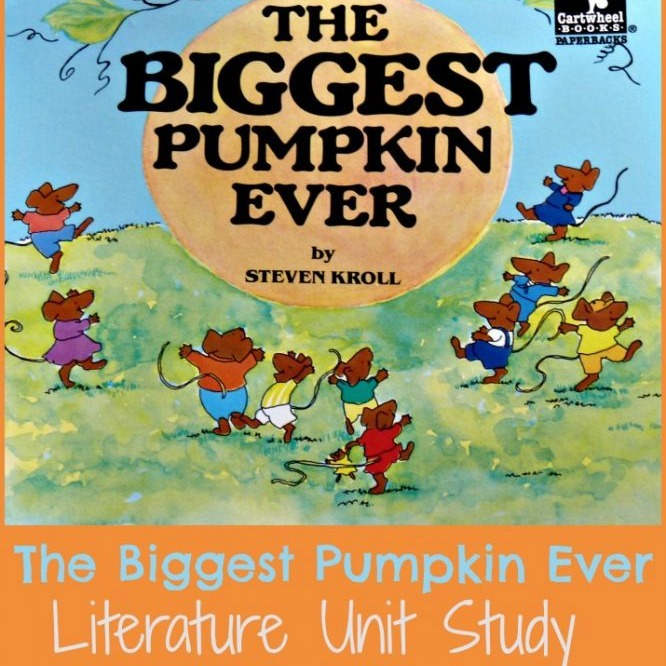 With 35+ pages, they are aimed for ages 2-8. 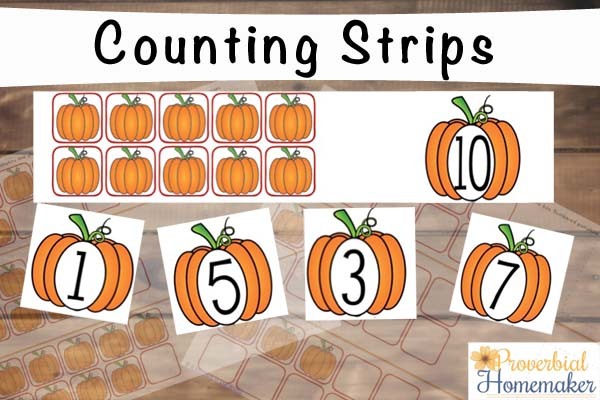 These counting strips are a great way for children to learn to count. 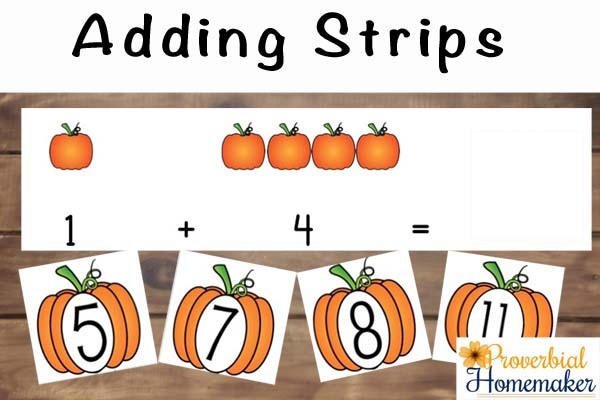 The child is not only learning to count the pumpkins, but by cutting and pasting the answer in the square provided they are also practicing their scissor and pasting skills. These worksheets are also great for the kids who are just learning to write, as they could write the answer in the square before pasting. These count and clip cards will last longer if they are laminated with child loving to clip paperclips or pegs onto the correct answer. Not only are they learning their math but also fine motor skills. You could also use pom poms or lollies that can be placed on the correct answer. Lastly there are adding strips. These are basic sums for the children just learning to add. Again, they can cut and paste the answer in the square provide or they could practice their handwriting skills and write in the correct answer. If they want they can write in the answer and then paste the correct answer on top. 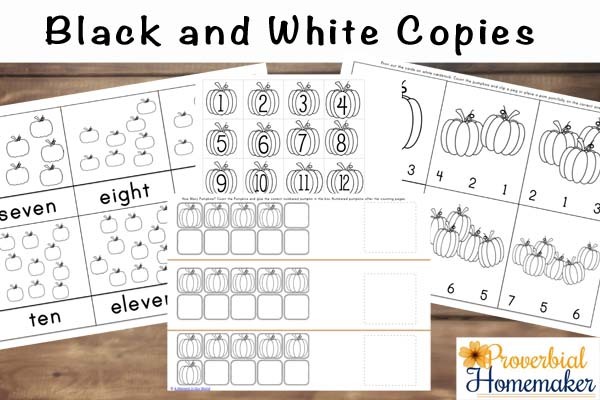 In this pack I have included colour and black and white copies, so if your child enjoys colouring in they can colour in the pumpkins as they count them. This is also a great saver on printer ink. 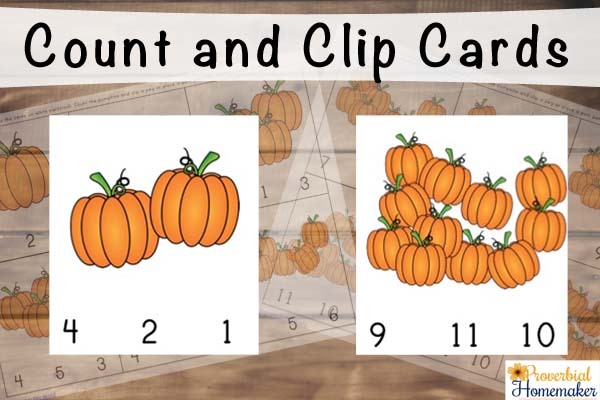 I hope you enjoy these pumpkin printables! Thank you so much for all you publish, it makes my homeschool planning and teaching so much easier. My son loves it and learns while having fun (which is the best kind of learning!). I’m so glad it’s helpful for you! Thank you for that encouragement.